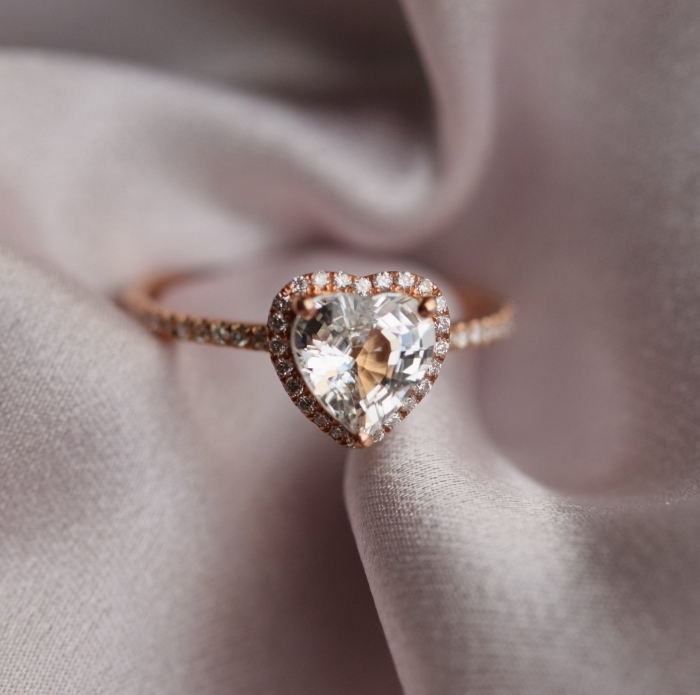 Valentine’s Day is almost here, and we’re celebrating with romantic wedding inspo that is sure to make your special day even dreamier than you imagined. 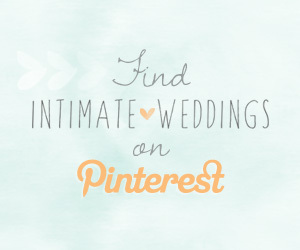 Even if you’re not getting married on Valentine’s Day, these charming details are a must-see! While we’re all for a red wedding dress and a venue filled with red roses, we love the subtle touches too. 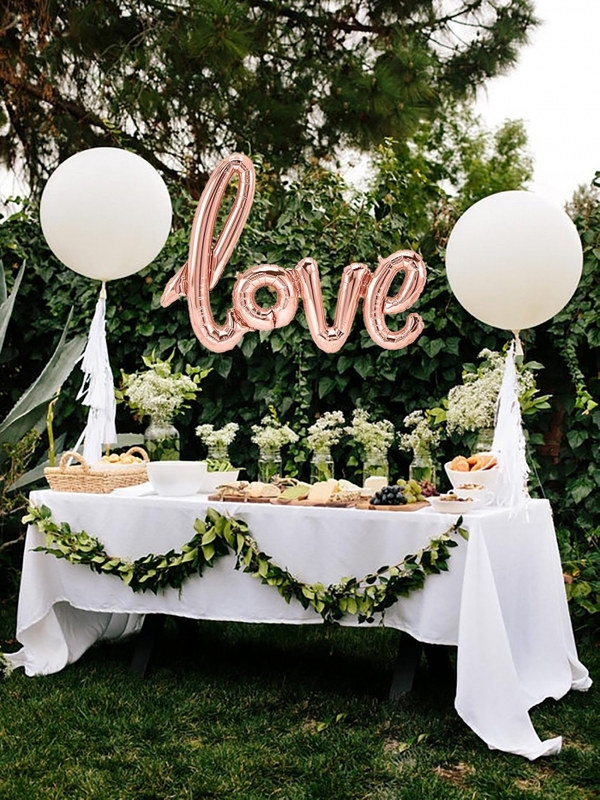 Heart-shaped cookies, rose gold balloons, darling bridal robes… there are so many pretty little things to incorporate into your nuptials. The aforementioned red wedding dress is a bold look to pull off. For a traditional look with a whimsical twist, opt for this lovely dusty rose wedding dress from Alexveilbridal. 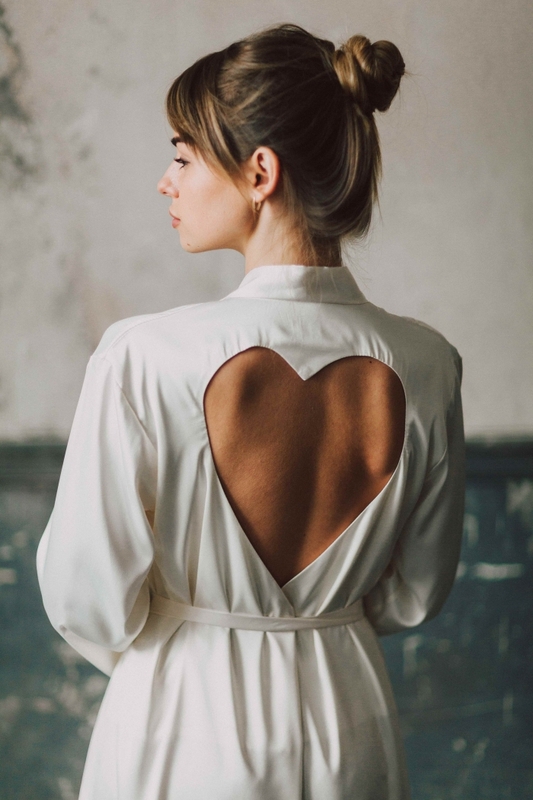 Get ready in style with this elegant satin bridal robe from BoomBlush. Trés luxe, non? 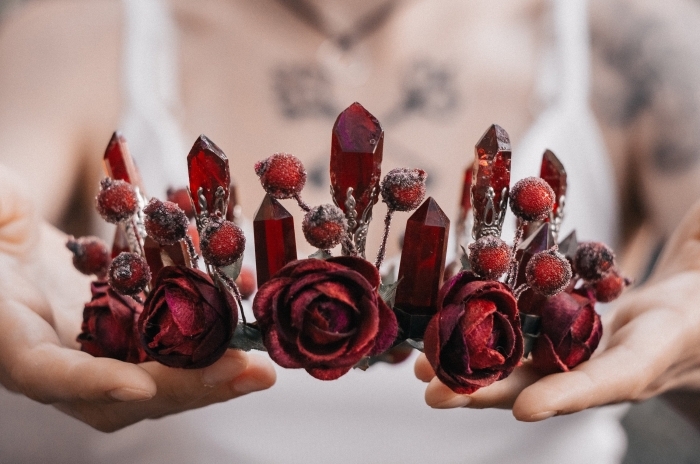 Channel your inner Queen of Hearts with this dark and dreamy crystal crown from foxystudioshop. 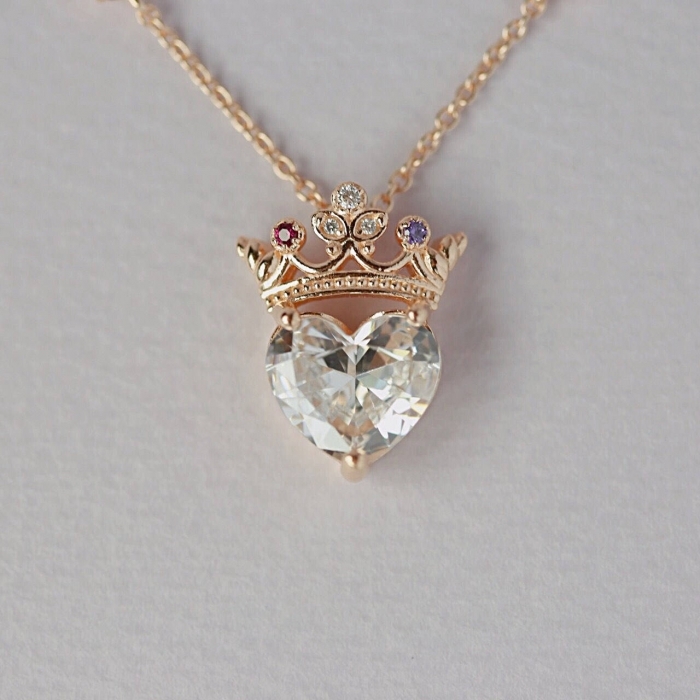 Complete your bridal look with this dazzling heart necklace from TedandMag. 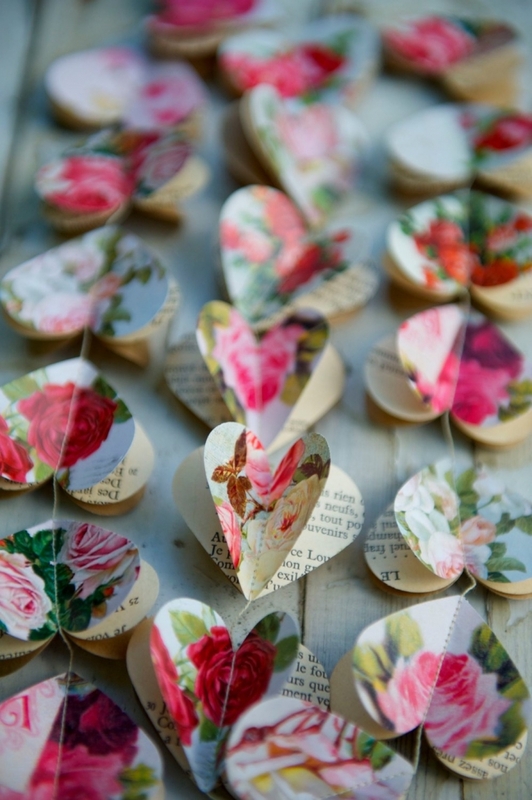 Whether you create a stunningly romantic ceremony backdrop, or deck out your reception, these handmade heart garlands from LaMiaCasa will be lovely addition to your wedding decor. 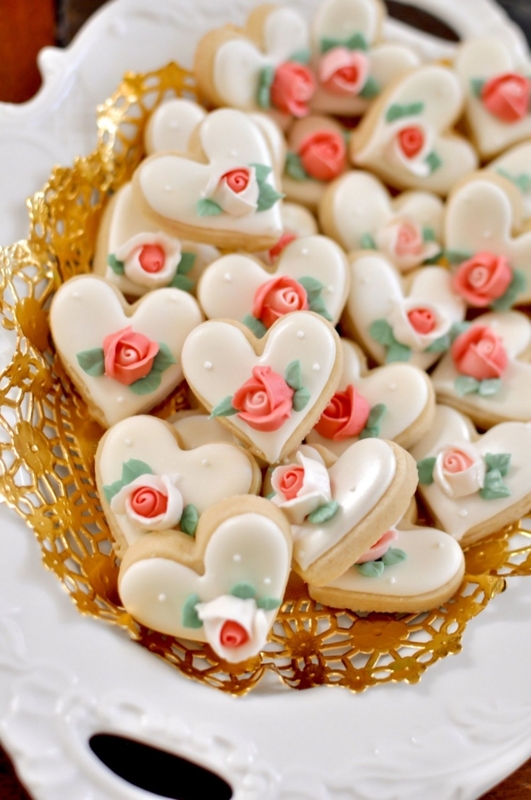 These mini cookie favors from MarinoldCakes are too pretty to eat! Just kidding; nothing would stop us from eating a homemade cookie. 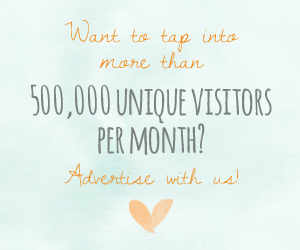 Love is in the air… Literally! Brighten up your dessert bar with this rose gold balloon from FOLIandLO.